In general, I'm pretty easy to get along with. I'm not high maintenance, I don't anger easily, and I'm a live-and-let-live kind of person. But one thing I can't handle is someone who can't laugh or make fun of himself (or herself.) If you take yourself too seriously, we probably wouldn't make great friends. Because the more serious you take yourself, the more it's going to stir up my sarcastic side. So when I see an actor who I've always liked being self-deprecating, it gives me the happys. 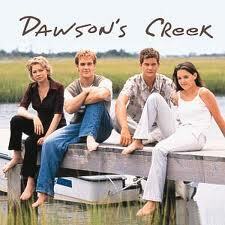 If you've hung around here long enough, you know I'm a Dawson's Creek fan from way back. And though I've always been Team Pacey, I always had a soft spot for Dawson too. And now James Van Der Beek is playing himself on the new TV show Don't Trust the B In Apartment 23 (how freaking long is that title?). But anyway, here is James reenacting a Dawson moment. Pretty funny. And James, this self-deprecating side only makes me like you more. So do you have any people in your life who take themselves too seriously? Can you laugh at yourself? Am I the only one who had this as a "must have" quality in a husband and/or friend? Welcome to the very first Made of Win Monday. This day is going to be reserved for simple things that are awesome because sometimes it's easy to forget to appreciate the little things. Now, I'm a sentimental person by nature. I hold on to way too much, and I love things that drag me back to good memories. Music would be the obvious one, but another thing that does this for me is watching old TV shows. If I'm feeling out of sorts or down, nothing can cheer me up quicker than pulling out old episodes of a show that flips that sentimental switch inside me. And those are also the shows that I tend to buy box sets of on DVD. So what are my shows? Dude, I was DEVASTATED when this show was cancelled after one season. I actually wrote a letter to the network. I think that may have been my first act of "activism" in my life, lol. Beyond the fact that Jared Leto was the hottest thing I'd ever seen on TV, the show spoke to me in a way nothing else did at the time. (I was 15 when the show aired.) I've since heard that it would've been renewed but Claire Danes didn't want to do another season. (Claire, you wound me.) 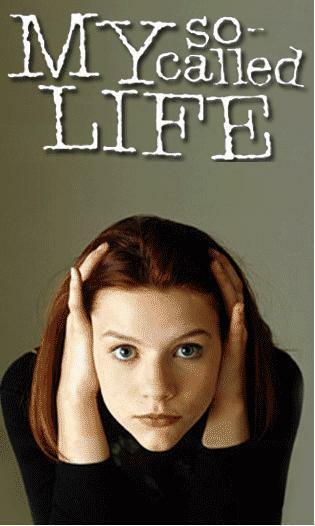 But anytime I want to be brought back to my innocent, angsty teenage years, I break out My So-Called Life. This show started during my first year of college. I remember me and my college roommates gathering around the TV on Dawson's Creek night eating french bread pizza (about as gourmet as our cooking got back then.) This show had everything I could want--angst, love triangles, romance, and teenagers who used big words like I did. I own all the seasons on DVD and every few years I break them out and go all the way from season 1 through 6. It makes me all warm and fuzzy just thinking about Joey and Pacey. Hmm, maybe I'm due for some reruns again. 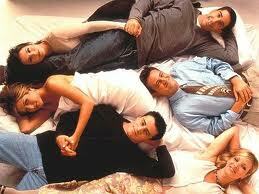 Ah, Friends. 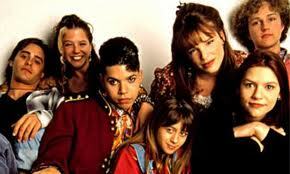 This show was on from the time I was 14 until I was 24. That's a huge portion of my formative years and part of me feels like this show is part of my DNA. Quotes still come to my head on a regular basis. (Does "I didn't get a cat" mean anything to you? Here's my fave scene of all time.) I also had the Rachel haircut (bad decision) and one of those huge coffee mugs even though I didn't drink coffee. Maybe I should seek therapy. 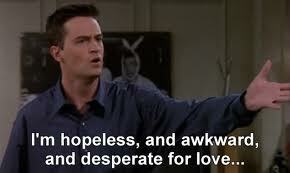 I do resemble Chandler a bit too much I fear. 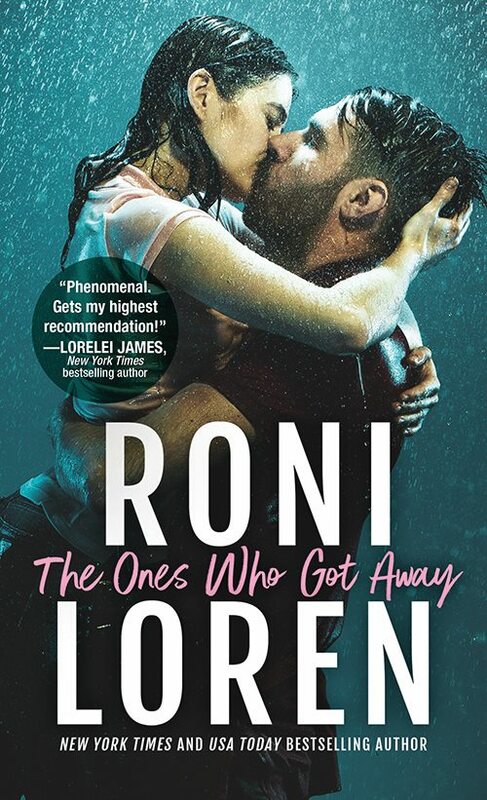 But I have the box set of this one too. It's like balm for my soul. All right, so those are my shows that can bring me back in time. What are yours? Do you have any shows you just HAD to own so you can access them anytime you want?